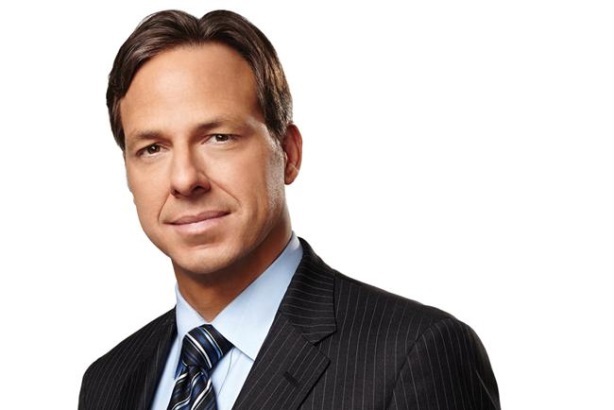 Jake Tapper, anchor on CNN's The Lead with Jake Tapper, talks to Diana Bradley about the show's first year on air and how social plays an integral role in shaping content. Describe the content on The Lead. You know when you pick up a copy of the Los Angeles Times and there are five great stories on the cover – about money, politics, the nation, the world, pop culture, sports, or maybe something you did not know existed – and you want to read all of them? That’s what I aspire to for the show – to have The Lead become that kind of well-rounded front page news. And we’re always looking into ways for the show to be more timely, relevant, and important. We try to challenge our guests and viewers to think about different perspectives and we don’t have any sort of political agenda, which distinguishes us from other shows. How does social media feed into the content of the show? In February, Seth Rogen testified about Alzheimer’s research before the Senate. Only two senators were there for his panel, and he made it clear on Twitter that he was upset at the sparse attendance. I follow him on Twitter, so I saw his comments and invited him onto the show. We are constantly looking to social media for stories that resonate with our viewers, but also to find interesting ways into stories. The story of Alzheimer’s research is an example of Rogen being a vessel to tell that story in an interesting way. I follow more than 2,000 people on Twitter, including journalists, politicians, and activists. It informs our reporting in the same way a wire service does or following a bunch of other news sources, including CNN. But I bring the same dose of skepticism to Twitter as I would to a press conference. It is vital to keep in mind that just because someone tweets something and it looks real, does not mean that it is. Have you done anything unique with social? I was told by the people at Jelly that I was the first journalist to use their new app. We used it on the state of the union night and asked people to weigh in. We are constantly using Instagram and creating Vine videos related to the show. We have a 15-second show called Meet a Crew Member that we do once a week, which is a behind-the-scenes peek at what is going on as the show is coming to air. And, we are reachable on Twitter and Facebook. Edward Snowden. When he did a Twitter Q&A, I sent him a question and he answered it. But I am not checking him off the list, I still want that interview. Other than Snowden, people on my wish list include Vladimir Putin, Pope Francis, and Hillary Clinton. Our guests in entertainment have already included Stephen Colbert, Jimmy Kimmel, and Mark Wahlberg. In politics we have had President Barack Obama, Sarah Palin, and Chris Christie. In business, Elon Musk was on the show, and in sports, we had Isiah Thomas. How do you use the Web to augment coverage? Our show is on at 4pm ET and we know not everyone is going to watch TV at a certain time. They are going to watch things on their own schedule. We have a digital producer who is focused on making sure our online content is a thriving, organic vehicle to bring viewers to the show, but also let them know where our content is if they missed it. We post all our segments on our show’s blog and it is active during the show. What is the best way for PR pros to pitch you? Pitch me an exclusive or a really good story. Don’t send me a mass emailed story that does not reflect the kind of thing I cover. I sympathize because, right out of college, I worked for PR firm Powell Tate pitching stories. But you need to be smart and surgical about it. Your book The Outpost – based on the real story of one outpost in Afghanistan that was attacked in October 2009 – is potentially being made into a film. The people who wrote the script for The Fighter are optioning it to try to make the book into a screenplay. We are not at the film stage yet. What news will you be following in the next few months? The 2014 midterm elections are going to be a big part of our coverage. We are already covering the 2016 presidential primaries and following any news that breaks right now.